John Wardlaw is an award winning filmmaker and published photographer that resides in Bend, Oregon. 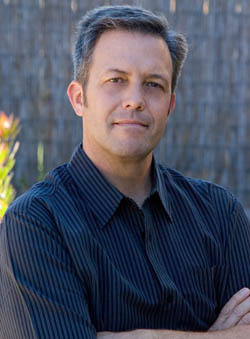 A graduate of UC Santa Barbara and Brooks Institute of Photography, John also attended University of Oregon. His artistic work has always reflected the beauty of the natural world around him. From snowy sunrises at Crater Lake to dramatic sunsets in Australia, Mr. Wardlaw has a way of capturing nature - both at home and abroad - in a way that transports the viewer as though they were actually there. His affinity for experimenting with time's influence on photography has lead to exquisite long-exposure shots of such subjects as waterfalls and fireworks. When Mr. Wardlaw isn’t photographing, you can find him out hiking Central Oregon with his wife Tricia, or at home relaxing with their four cats. An avid fisherman, world traveler and surfer, he is always looking for the next adventure. No matter where that may be, you will be sure to find him with a camera at his side. Interestingly, Mr. Wardlaw is at the heart of an uplifiting story of friendship that went viral in 2012. 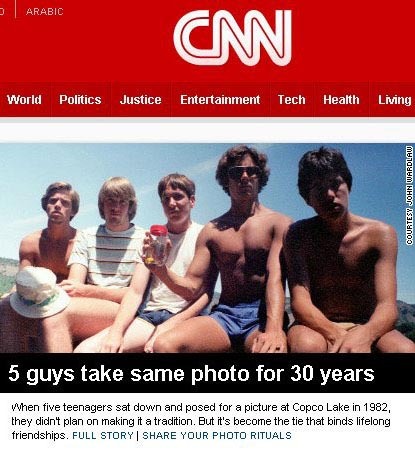 He is one in a group of five friends that has taken the same photo together at his Copco Lake cabin in Siskiyou County, California, every five years since they were teens. The news story has won the world over, earning the “Five Year Photo” Project spotlights on everything from CNN, the Today Show, newspapers and magazines around the world, to international press from countries as far away as Australia, Germany and Korea. Best Animated Characters, Best Animated Concept, 2nd place Best Animation. 2010 Best Animated Comedy, Dragon*Con Film Festival.